Needle Felted Super Pup For Sale! 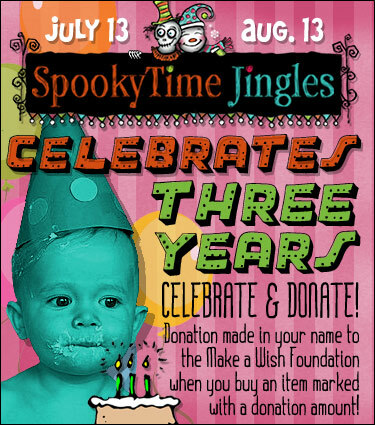 The 13th is coming up quick and that means another update on the SpookyTimes Jingles site! So here’s Super Pup. He’s the third and final in the Trick-or-Treat series. 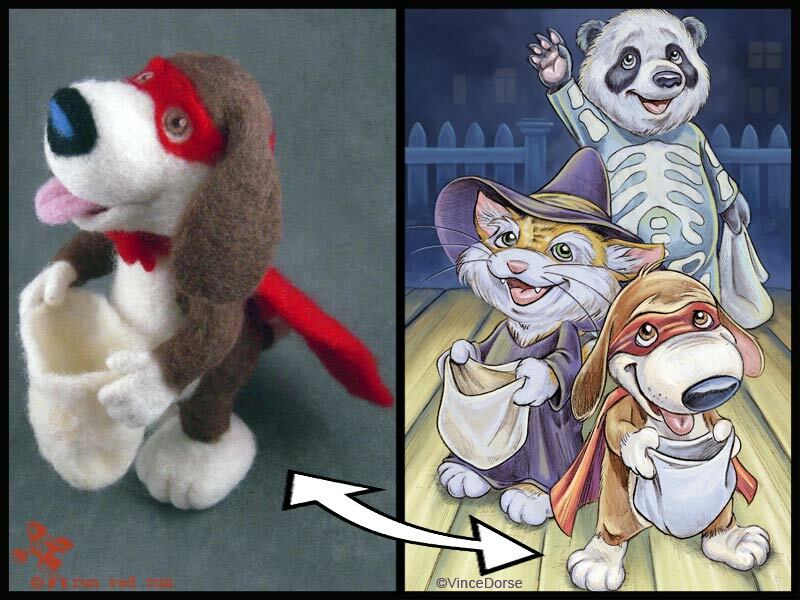 Based on characters designed by Vince Dorse, the puppy is decked out in a super hero costume. 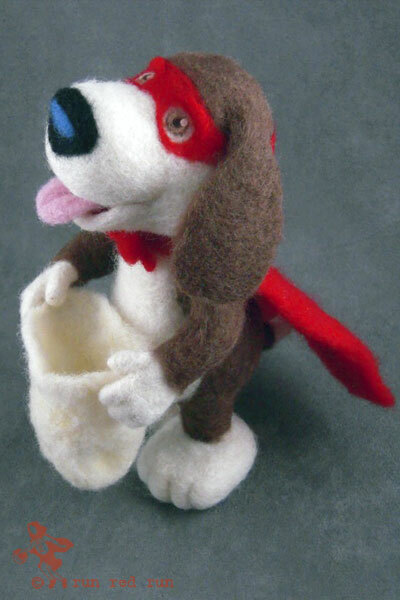 He is an exclusive needle felt creation available for purchase only at spookytimejingles.com. If you would like to buy this cutie, go to the SpookyTime Jingles site, click on the Run Red Run button and get all the details there. While you’re there take some time to look at all the other great artists on the STJ site. Here's the design comparison between my wool sculpture and Vince's oringal design. One of the problems I have felting at home is the danger posed by Bing and Bowie, The Cat Brothers. They’re cute, they’re loving, and I don’t know what I would do without them. But, like all cats, they’re very curious. 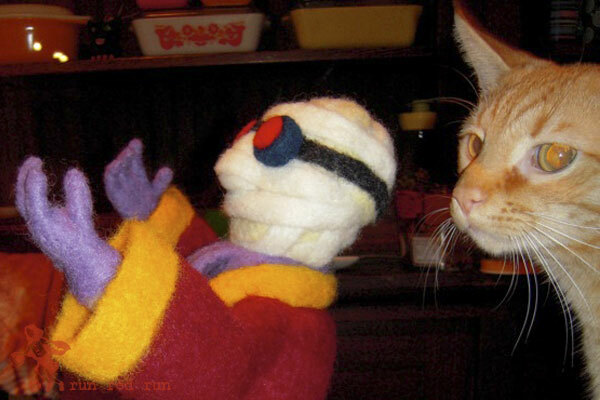 And their curiosity can sometimes turn a felted doll into a kitty chew toy. Here’s Bowie sniffing around the Invisible Man while I was finishing up some detail work. I just knew by the look on his face that he had enough of this bandaged stranger and was going to attack. Luckily, I grabbed the doll before anything disastrous happened. But The Cat Brothers are always on the lookout for more mischief, so i’m sure you’ll be seeing more of them.